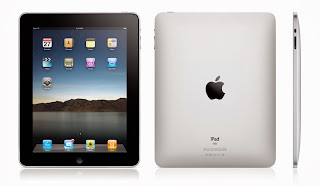 iPad is the latest creation of Apple Inc., the company that makes the popular iPhone. It is tablet-style computer. Apple CEO Steve Jobs on Wednesday unveiled the iPad, that he called "a truly magical and revolutionary product." "What this device does is extraordinary," Jobs said. "It is the best browsing experience you've ever had. ... It's unbelievably great ... way better than a laptop. Way better than a smartphone." The best way to experience the web, email, photos, and video. The iPad has a 9.7-inch touch screen, is a half-inch thick, weighs 1.5 pounds and comes with 16, 32 or 64 gigabytes of flash memory storage. It comes with Wi-Fi and Bluetooth connectivity built in. Jobs said the device has a battery that lasts 10 hours and can sit for a month on standby without needing a charge. Those 3G iPad models will cost more _ $629, $729 and $829, depending on the amount of memory _ and will be out in April. International cellular data details have not yet been announced.